Last month saw two important movie anniversaries. While May 20 was the birth centenary of James Stewart, one of Hollywood’s finest actors (and one of my personal favourites), the week before that marked 50 years since the release of a film that contained Stewart’s most complex performance: Alfred Hitchcock’s Vertigo, a poetic, very intimate story about obsession and what it can engender. Vertigo isn't my personal favourite among Hitchcock’s films (at this point in time, it isn’t even in my ever-shifting top 5: those would currently be Psycho, Strangers on a Train, Notorious, Rope and The Trouble with Harry). It’s always fallen in the “admire more than love” category for me, so it might seem paradoxical that I’ve been compelled to revisit it many times – on one occasion, greatly inconveniencing myself to catch a film-festival screening – and my admiration has increased with each viewing. For starters, I’m always struck anew by the sheer beauty of the film (thank FSM for the print-restoration that took place in the mid-1990s, when the negative was in dire shape). It’s truly lovely to look at, full of lengthy wordless sequences and some very evocative use of San Francisco locations such as the Golden Gate Bridge and the sloping streets. I’m almost certain that no other Hitchcock film has as many dissolves as this one does, and while that in itself doesn’t have to mean anything, in Vertigo these dissolves have the effect of heightening the relationship of each shot to the next, and of making each seem like a vital part of a living, breathing organism. Scene by scene, this film is more rigorous and compact than anything else Hitchcock did, with the possible exception of The Birds and Notorious – you can almost sense the director agonising over every frame, making sure that it fits in perfectly with the overall look and mood. Adding greatly to its effect, of course, are Bernard Herrmann’s lush music score and Stewart’s daring performance as a man who starts off by being eminently likable (in the classic Jimmy Stewart tradition) but who gradually reveals a very dark side - one that's all the more disturbing if you can relate to it. The film begins with a haunting prologue – a scene that can, in retrospect, be viewed almost independently from the main narrative – that shows detective Scottie Ferguson (Stewart) discovering (in the worst imaginable situation) that he suffers from a paralysing fear of heights. Though advised to recuperate for a few weeks, Scottie is intrigued when an old college friend asks him to follow his wife Madeleine (Kim Novak), who may be possessed by the spirit of an ancestor. Unaware that he is being used as the set-up in an elaborate murder scheme, the detective finds himself falling in love with Madeleine and becoming her protector. When she dies, in an incident that might have been prevented if it weren’t for his vertigo, the guilt-stricken Scottie withdraws into himself – until, one day, he meets a woman, Judy, who bears a strong physical resemblance to his deceased love. He pursues her, they become close and then, unmindful of her feelings, he sets about trying to refashion her in the image of Madeleine. It’s difficult to discuss the plot without giving away spoilers, so here’s the obligatory alert. With around half an hour left to go, the narrative makes one of the most startling right turns I’ve seen in any film – it abandons Scottie’s viewpoint (he has been our point of identification throughout so far, and the central figure in every scene) and shifts to Judy’s, in the process casually making a revelation that most suspense films would have saved for the end. But this helps achieve a larger purpose: as the movie heads towards its climax, we have been made privy to both Scottie and Judy’s internal demons, and the effect is very ambivalent and unsettling. Anyone who engages closely with Vertigo will see that its thriller aspects – built around a convoluted, implausible, easily dismissed plot – are a pretext to explore more universal themes. In Scottie’s idealisation of Madeleine, his callous treatment of the more earthy Judy and the latter’s hesitant succumbing to his demands, we see the emotional arm-twisting that accompanies the deepest relationships: how our feelings towards other people are very often based on the image we have created in our heads rather than what they are really like; and how easy it is to make compromises or try to reshape yourself – often to the detriment of all concerned – to win the acceptance of someone you care about. In fact, I’m not at all sure that Vertigo is exclusively about romantic love. It seems to me that the most cutting observations made here – about emotional dependence and the subtle, often perverse manipulations that accompany many of our closest bonds – can apply just as well to any relationship. It’s widely accepted that this is Hitchcock’s most intimate work, and this can be a stumbling block for the casual moviegoer, conditioned to think of this director as a witty entertainer who traded mainly in suspense. But I think the emotional directness and rawness of Vertigo can be problematic even for the more knowledgeable and devoted Hitchcock fans – because while we believe that the man is a great artist and that his work deals with serious ideas, we are accustomed to seeing this done obliquely rather than head-on. To illustrate what I mean: the parlour conversation between Marion Crane and Norman Bates in Psycho is an example of a superb scene that provides the beating heart of a very profound film, anchors it and brings many of its deeper themes into the open. But crucially it’s also a scene that uses sardonic black humour as a smokescreen or a defence mechanism (much like the rest of the film does). The dialogue between Norman and Marion occasionally reaches a high pitch of intensity (e.g. Norman reflecting on his mother being left alone in the Gothic house if he were to leave her: “the fire would go out, it would be cold and damp like a grave – if you love someone you can’t do that to them even if you hate them”) but the tension is repeatedly dispelled by a clever one-liner or a wry observation (“A son is a poor substitute for a lover”/“Mother isn’t quite herself today”/“Some people even stuff dogs and cats, but I couldn’t do that”). It’s ironic and detached. Vertigo, on the other hand, doesn’t give the viewer these breathers: it wears its heart on its sleeve. In the later scenes, when Scottie looks longingly at Judy, searching for glimpses of Madeleine in her, or when he waits for her to emerge from the bathroom after having transformed completely into the person he idealises, it’s difficult to look at James Stewart’s face – you almost feel like you’re intruding on something that’s too private. Consequently, the film occupies a unique position in Hitchcock’s filmography: it doesn’t have the distancing black humour of Psycho and Rear Window or the elegant wit of the early British films, nor is it a full-blown entertainer like North by Northwest (a first-time viewer expecting to see a “Hitchcock thriller” will almost certainly be disappointed, even angered, by how slow-moving and abstract it is). And if you look at it as the sum of its plot twists, it’s easy to dismiss it as a good-looking but pointless melodrama. But for viewers who are lucky enough to be drawn into its world and absorbed by the dilemmas of its central characters, this is a very mature work that grows richer each time you see it – though of course, this presupposes the sort of viewer who would elect to see it more than once! Also, you probably need to be a serious movie buff/historian to appreciate how astonishing it is that such a personal film could have been made in mainstream Hollywood in the 1950s by one of the most high-profile directors in the world, working within the many constraints of the studio system. 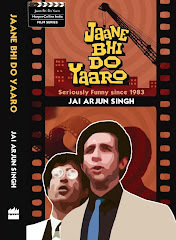 I’m hoping a special-edition anniversary DVD makes it to Indian stores soon. P.S. In the context of Vertigo being a film that doesn’t have mass-appeal and can make viewers uncomfortable, I recently came across this post on Jim Emerson’s Scanners blog: a discussion about films that are so personal that they work best when watched alone, rather than with an audience in a hall. Emerson also links to an interview with novelist Steve Erickson, who speculates that one reason why Vertigo’s critical appreciation deepened after its original release was that many budding movie buffs (future directors and critics) in the 1960s and 1970s saw it at home, on TV. I’ve never seen Vertigo “work” with an audience in a theatre, and I’ve seen it with an audience at least four times...a movie that seems absurd in the collective dark, shared with other people, but watched alone on DVD has the force of a private dream. I think there’s something to this: I remember the general restlessness and the snickering in the hall when I saw Vertigo on the big screen at PVR Saket of all places – part of a very short-lived experiment by the hall to show movie classics. In fairness, it must be said that the print they showed was a terrible one (from before the restoration) and the sound even worse. Besides, and there’s no polite way to say this, it was a PVR Saket audience. P.S. 2: Also see this old post about the accusations of misogyny in Hitchcock’s films. The accusations seem even more bizarre when you see the obvious sympathy that Vertigo has for the Judy character, and how the film launches its emotional crescendo at precisely the point when Scottie leaves the room (and us) for the first time and the camera turns to Judy to learn her story. More from Camille Paglia about Hitchcock and Vertigo here. P.S. 3: Here's a great piece by Adam Gopnik, originally published in the New Yorker I think, which marvelously links the death of a beloved goldfish with the premature revelation in Vertigo. Wonderful piece of writing. One of the landmarks--not merely of the movies, but of 20th-century art. Alfred Hitchcock's 1958 film extends the theme of Rear Window--the relationship of creator and creation--into the realm of love and sexuality, focusing on an isolated, inspired romantic (James Stewart) who pursues the spirit of a woman (the powerfully carnal Kim Novak). The film's dynamics of chase, capture, and escape parallel the artist's struggle with his work; the enraptured gaze of the Stewart character before the phantom he has created parallels the spectator's position in front of the movie screen. The famous motif of the fall is presented in horizontal rather than vertical space, so that it becomes not a satanic fall from grace, but a modernist fall into the image, into the artwork--a total absorption of the creator by his creation, which in the end is shown as synonymous with death. But a thematic analysis can only scratch the surface of this extraordinarily dense and commanding film, perhaps the most intensely personal movie to emerge from the Hollywood cinema. 128 min. Haven't met anybody else rank it in their personal Hitchcock top 10. Vertigo owes a lot of its charm to Herrmann's score...The exclusion of it will detract a lot from the film. Rear Window and Notorious for instance are imho less reliant on music, more entertaining and are probably more representative of Hitchcock's cinematic style. The scenes in Vertigo that move me the most - the 360 degree kiss :) and Stewart's disillusioned harangue at the end. Bala: yes, I love that ending, where you can see not just Scottie's inner struggle playing itself out but also the film itself struggling between being the conservative studio product (with Scottie and Judy heading for the classic clinch just before the surprise ending) and allowing an all-American leading man to turn genuinely unpleasant onscreen. About the "apt pupil" snarl...Scottie's rage, fueled by sexual jealousy, really is something to watch, even when you consider that Stewart had been doing more complex roles since the late 1940s. On the comments section of this post a few weeks ago, there was a discussion about Method actors like Brando vs the old-style Hollywood performers like Stewart, and I can't help wondering what hidden reserves Stewart had in order to be able to play that scene. By all accounts, he had a squeaky-clean personal life (married to the same woman for nearly 50 years, a reputation as a solid, reliable family man), though of course we can't ever know the truth behind these things. But maybe it really was a case of what Laurence Olivier reportedly said to Dustin Hoffman when the latter was trying to channel his inner feelings to play a role: "Why don't you try just acting?" Shrikanth: yes, the 360-degree kiss is superb, especially because of the expression on Stewart's face when he looks around him in the middle of the kiss - it seems to suggest that on some level he knows that all this is a fantasy and that he's being fooled, but he allows himself to succumb to the dream anyway. Very telling moment. My favourite scene is when they first go out together... and she shows him the circles on the tree trunk and the kissing scene soon after. The whole sequence is so haunting and so very romantic. About Misogyny I don't think Hitchcock needs any defenders. His portrayal of masculinity and male sexual desire in vertigo, for example, is totally in line with feminist theories of male gaze, about how male desire denies autonomy and identity to the female subject and turns her into an object. I like Hitchcock's 'Dial M for murder' which was remade in Hindi also (Raj Babbar and Dimple Kapadia?? )..Once at the airport a customs official had a dialogue with Hitchcock. CO: What is your profession? CO: And what do you poduce? Bala: from what I've heard, that seems like a sensationalist book - providing simplistic, crowd-pleasing views on what must have been very complex relationships. I prefer Paglia's analyses about Hitchcock's ambivalence towards women, and the more nuanced critical work done by Robin Wood and Donald Spoto. Karthik: I answered your question about Dashavatar in the earlier post. Basically, it will depend on whether I have the time - things are very tough on various fronts right now and I usually don't have the time to do anything apart from sitting at the comp and writing (if that). Watched Shadow of a Doubt yesterday. hey! have been reading your blog for quite a bit. you seem like the most interesting person I never met. You mentioned James Stewart as one of your favorite actors. I agree with the same specially his role in It's a wonderful life. I am sure you would have seen the movie. I would love to read a detailed column about that movie. I am officially a fan.